Black and Chocolate Litter due mid April. Take a look at this pedigree! Currently taking deposits, get on this list asap. Great Breeding between two talented dogs. 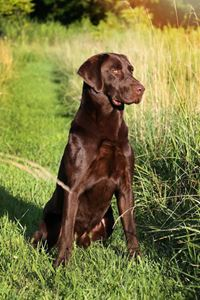 Tycho is a Phenomenal stud dog with his accomplishments, pedigree and versatility in any hunt test venue or hunting scenario. Tycho is the only Chocolate dog to be a GMPR and pass the HRC Grand! Tycho is truly a once in lifetime dog with his raw talent and hunting abilities. He also has the looks and personality everyone strives for. June is truly a talented little dog with the pedigree to back it up, she comes from northstar pointing labs which is a top notch facility that produces some amazing dogs. June is a fast high drive dog with a ton of talent. She is also a great family companion with a great temperament. We expect these pups to compete in all venues of the hunt test world and be all around great hunters for the family. Pups willBlack and Chocolate Litter due mid April. Take a look at this pedigree! We expect these pups to compete in all venues of the hunt test world and be all around great hunters for the family. 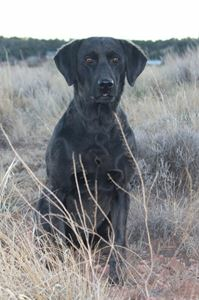 Pups will come with full health guarantee, see azhuntinglabs.com for details. come with full health guarantee, see azhuntinglabs.com for details.